"The Lotto 6 aus 45 from sterreichische lotterien - Lotto Austria"
The Austria Lotto company – sterreichische lotterien – can trace its history back to July 2nd 1985 when the Toto Lottery Planning Company was formed with a view to introduce lottery games throughout Austria. 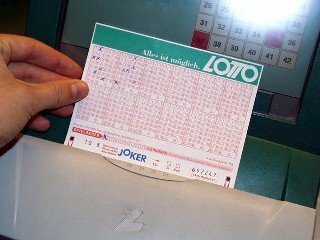 On June 11th 1986 legal concession was granted by the Austrian government to proceed with the introduction of the Austria Lotto games and the Austrian Lottery Toto Company was born. The first Lotto Austria games to be introduced were the Letter Lottery, Small Number Lottery, Class Lottery and the SportToto followed by the Lotto 6 aus 45. On June 20th 1991, the Austrian Lottery Toto Company m.b.H. officially changed its name to the Austrian Lotteries Company m.b.H. and it is this company – sterreichische lotterien – that operates and administers all of the Austria Lotto games today. The Austria Lotto 6 aus 45 was first introduced by sterreichische lotterien back in September 1986 – not long after the very first games by Lotto Austria were launched earlier that same year. The Austria Lotto 6aus45 is a traditional draw-style, lotto jackpot game and is the flagship game offered by the Austrian Lotteries Company m.b.H – sterreichische lotterien. The Lotto 6aus45 jackpot starts off at € 1 Million and for every draw that the Austria Lotto produces no jackpot winners it will rollover – and the increase in the top prize will then be added onto the jackpot for the next draw – making for some larger top prizes to be won each week until a winner is eventually found. Draws for the Austrian Lotto take place twice per week on Wednesdays at 6.30pm and Sundays at 6.00pm CET. The Austria Lotto 6aus45 uses what is known as a matrix of 6/45 which means that 6 winning lottery numbers are drawn out of a number range from 1 to 45 . This is then followed by a seventh number which is then also drawn – known as the Additional number or Zusatzzahl – and is used to determine prizes on winning levels 2, 4, 6, 8, 9 and 10. So – when you are playing the Austria Lotto you will first need to select your 6 main numbers out of a range of numbers from 1 to 45. If you match all 6 of the main numbers drawn then you will be a winner of the first division prize – the Austria Lotto jackpot. In addition to the jackpot itself – there are 9 further ways in which you can win on the Austria Lotto – which means that are a thousands of prizes to be won twice every week for anyone who plays with sterreichische lotterien. A QuickTipp facility is available when playing the Austria Lotto very much the same as the Lucky Dip option that is used in the UK National Lottery and Europe’s EuroMillions or the Quick Pick used in nearly all USA Lottery games. This means that you can ask the lottery retailer or computer to randomly select all your Lotterien numbers for you. 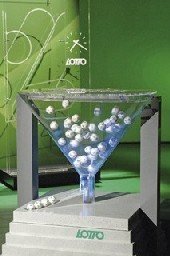 So – playing the Austrian Lotto is simple – just select your own numbers or request them to be automatically chosen for you by using the computer or retailer's random number generator. Austria Lotto 6 aus 45 – Who Can Play? As with the majority of lottery games around the world – previously only citizens living in Austria were allowed to play in any of the Austria Lotto games including the Lotto 6aus45 – you used to have to purchase your Austria Lotto tickets from an authorized retailer based in Austria. Today however – this is not a problem as there are various online lottery ticket retailers such as TheLotter who are both authorized and genuine – you are able to select your Austria Lotto numbers online and purchase your sterreichische lotterien tickets from anywhere in the world. This is great news, of course, if you live outside of Austria and want to play the Austria Lotto and ensure your entry into the next draw or just would like to have the convenience and ease of being able to buy lottery tickets online. You will need to be 18 years of age to be eligible to purchase a ticket for any of the Lotto Austria games including the 6aus45. The Austria Lotto 6 aus 45 is drawn twice every week by sterreichische lotterien on Wednesdays at 6.45pm and on Sundays at 7.15pm. There are numerous ways in which you can check out the very latest Austria Lotto 6 aus 45 Results. The Austria Lotto results will be published in various newspapers throughout Austria and will also be displayed on the official Lotto Austria websites – lotto.at and win2day.at. The Austria Lotto 6 aus 45 results are also broadcast on television on ORF 2 TV on Wednesdays at 6.48pm and Sundays at 7.17pm plus you can also come back to Global Lottery Review at any time where you can also check the very latest Austria Lotto Results. The odds of winning on the Austria Lotto are very competitive when compared to many lotteries around the world and with a total of 10 different ways – this means there are thousands of prizes to be won on with sterreichische lotterien twice each week. The chances of winning an Austria Lotto jackpot by matching the 6 main numbers are 1 in 8.14 million – for these odds you could be one of the top prize winners. For a prize on the second level – the odds of you winnimng come in at 1 in 1.35 million for matching 5 of the main numbers plus the Additional Number – Zusatzzahl. The likelihood of winning a third level prize is 1 in 35,724 for matching 5 of the main numbers and for a fourth level prize the winning odds are 1 in 14,290 for matching 4 of the main numbers plus the Additional number – Zusatzzahl. For a prize on the fifth level – the winning odds are 1 in just 772 for matching only 4 of the main numbers whilst a sixth tier prize has odds of 1 in 579 for correctly matching 3 of the main winning numbers plus the Additional number – Zusatzzahl. Seventh level prizes offer winning odds of 1 in 48 for choosing 3 of the main winning numbers and prizes on the eighth level have odds of 1 in 64 for picking 2 of the main winning numbers plus the Additional number – Zusatzzahl. For a prize on the ninth level you have odds of 1 in 18 for matching just 1 of the main numbers plus the Additional number – Zusatzzahl – and for a prize on the 10th and final level the odds are 1 in only 16 for matching just the Additional number itself. The biggest ever Austria Lotto 6 aus 45 jackpot recorded so far has been the € 12.23 Million won on December 24th 2017 which saw 2 lucky winning tickets scoop € 6.118.478,40 each. The 2nd largest jackpot produced by the Austria Lotto to date was € 11.01 Million won on October 23rd 2011 which was split between 2 tickets each winning € 5,507,164.10. The 3rd biggest Austrian Lotto 6aus45 jackpot to have been won to date was € 9.88 Million won on January 31st 2016 and shared equally between 3 lucky ticket holders – two from Carinthia and one from Upper Austria who each received € 3,293,968.40. The 4th highest jackpot to have been won on the Austria Lotto to date has been € 9.83 Million won on May 28th 2008. December 28th 2014 saw the 5th largest jackpot win on the Austria Lotto to date when € 9.5 Million was won. If you become the lucky winner of an Austria Lotto jackpot – you will be paid your prize winnings in the form of a cash lump sum. All prizes on the Austria Lotto are paid out in cash. Wins of up to € 1,000 may be claimed from any Austria Lotto retailer and this must be done so within 6 months from the date of the draw. Wins of between € 1,000.10 and € 80,000 will be paid after a period of 4 weeks upon completion of the neccessary claim forms. If you have won more than € 80,000 – you will need to make your claim at the Austrian Lotteries Customer Service Center in Vienna. With all winning Austria Lotto tickets – you must make your claim withn a period of 3 years before your ticket will become void. Of course – if you are playing the Austria Lotto with a recognized lottery ticket sales company such as TheLotter – you will not need to be concerned with these details as you will automatically be paid your prize money directly into your bank account when you play lottery online. Proceeds from all Austria Lotto games including the 6 aus 45 go towards funding numerous good causes and charities in Austria. Austrian Lotteries take pride in supporting projects and institutions that benefit the country of Austria and its peoples. One particular area that has benefitted from Austria Lotto funding since its beginning has been Sports related activities.